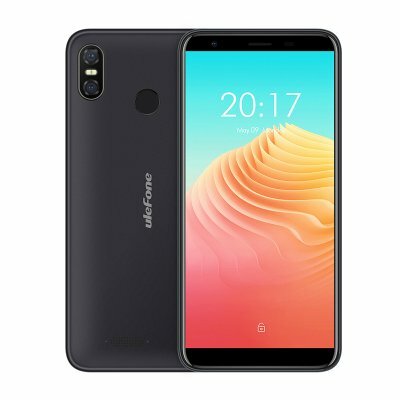 Successfully Added Ulefone S9 Pro Smart Phone - 5.5 Inch, Android 8.1, MT6739 Quad-core 1.3GHz, 2GB RAM 16GB ROM - Black to your Shopping Cart. Powered by an MT6739 CPU, the ULEFONE S9 Pro delivers a good competent performance. The Phone runs on the Android 8.1 OS and delivers a smooth user experience. With 2GB RAM and 16GB ROM for all your apps, games and media, but if you need more storage, the built-in micro SD slot can let you extend the storage up to 128GB. Built-in two cameras, 2MP front camera and 8MP Rear camera with dual rear flash; To take clear photos and capture your every wonderful moment; Dual rear flash design to allow taking clear photos in dark environment. A 3300mAh 4.35V Li-polymer battery provides adequate electricity, so you can enjoy a day of typical usage without needing to recharge; Super long standby time, up to 250H, talk time up to 18H, let you enjoy the chatting with your family and friends.